For years Baby sat in the corner - "It's for old ladies and delicate dancers" we were told. So for years Baby sat.... Off to the side and out of the light. This book will change your mind about the Arm/Baby Chair! It contains exercises that challenge the strongest of strong. The Arm /Baby Chair teaches us the missing component in the Pilates of today. It teaches us how to lift and engage our Powerhouse in the correct manner. You will learn to move with length in two directions from a strong center. The Arm/ Baby Chair connects the front body to the back body and then both more deeply into the Powerhouse. Unique to this book, you will not only learn the how of each exercise, but the why, when and what. Why would I choose the Baby Chair instead of the Cadillac? When would I add a spot, bar or Magic Circle, What is the purpose of this exercise and how does it connect to the work of Pilates? 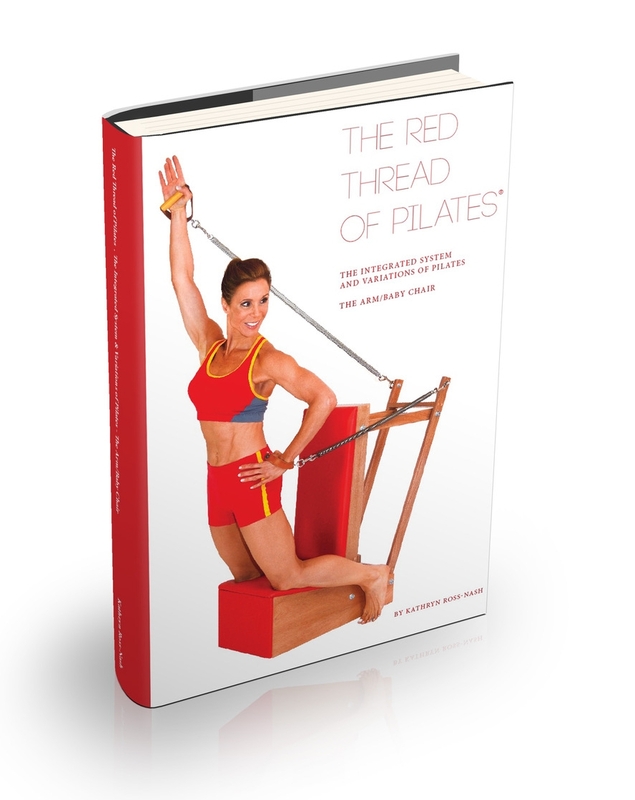 Once again, the RED THREAD is woven and the connection is understood between the Mat and Reformer to increase a greater under- standing of Pilates as a Method. This book contains three examples for each exercise to understand what you would see during the Mat or Reformer to make you GO TO THE BABY CHAIR. So out of the corner Baby and into center stage cause nobody puts Baby in the corner!